Easter weekend was so fun! I shopped, baked creme brulee, threw together surprise baskets, and ate too much chocolate. 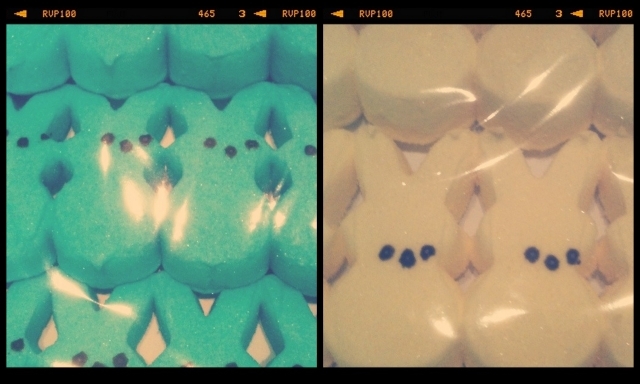 Something about Easter candy is just too delicious for words. Filled with crack. And I'm definitely not the only one who thinks so. 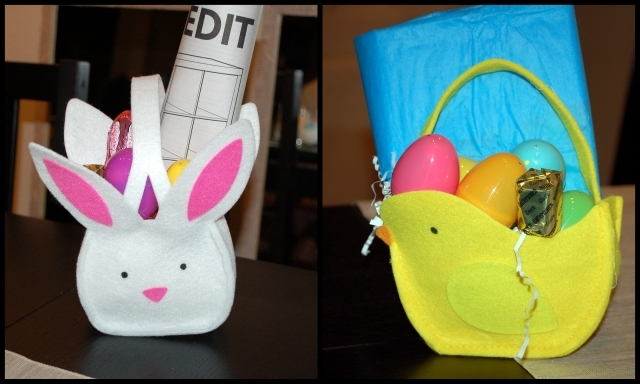 A few snapshots from Easter! Yes, I got an Ikea Expedit bookcase in my Easter basket. I may have a problem. I'm somewhat convinced the checkout lady at Target thought I had a child waiting for me at home. 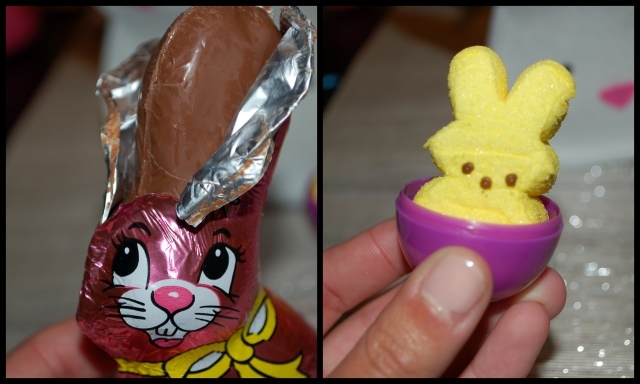 My purchases included 2 packages of peeps, 2 boxes of Cadbury Creme Eggs, a colorful assortment of plastic eggs, chocolate bunnies, and Megamind on DVD. It just so happens Chris & I are quite young at heart. I made brunch, we opened baskets, and headed off to Chris' parents house for an absolute feast. Antipasto salad, seafood fettuccine, and my creme brulee to follow. Mmmm. 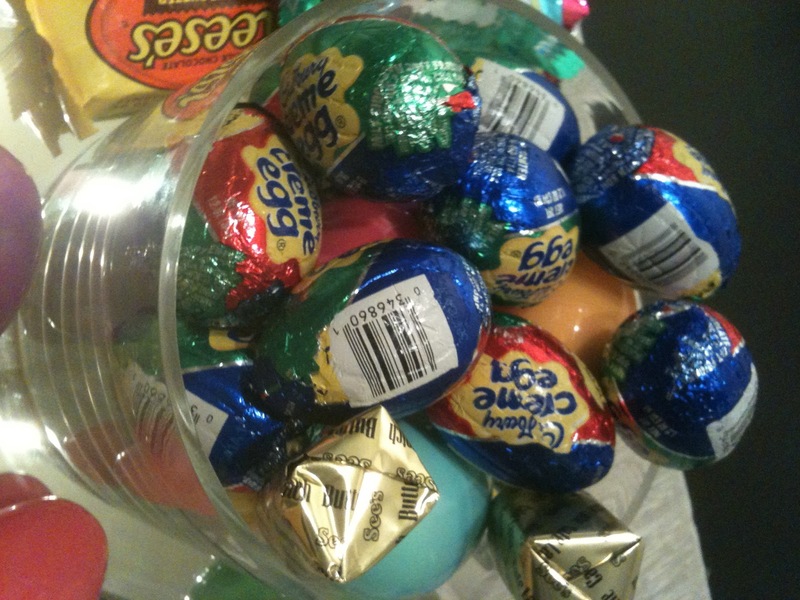 And they got us the biggest Easter basket, filled with even more goodies! And now we have enough leftover candy for about a month.